A company is only as great as its people, and this month's Mattress Mastermind is one of American Bedding's best. Delbert Taylor has been an essential part of the American Bedding family for 15+ years, and it's obvious from his words in the following paragraphs that he values the business as much as we value the part he plays in it. 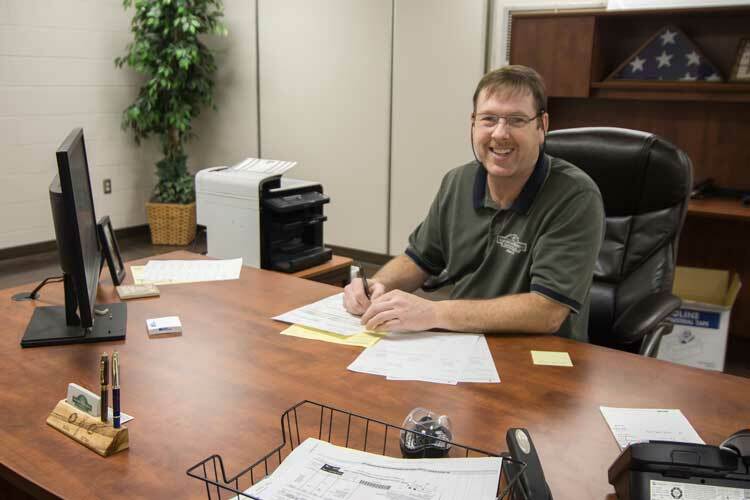 What are your main responsibilities as Plant Manager at American Bedding? production schedule to ensure we meet deadlines and ship dates for our customers’ orders. To accomplish this, I manage our production staff and oversee raw materials inventory. In a previous career, I ran my own small business, so I know what it takes to make a company work and how to wear a lot of hats. How did you end up at American Bedding? At the time, I went to church with Boyd and his family, and I coached their oldest daughter’s basketball team. This is was what formed our relationship, which later led to me to work for American Bedding in 2003. How have your roles at American Bedding progressed over the years? worked to the point where I became the Plant Manager. inventory and staffing needs all have their challenges, and sometimes it depends on the day. daily grind, it is rewarding to see how much we can accomplish daily as a team and meeting every deadline we are given. What life lessons have you learned during your time at American Bedding? where I am at this company today compared to where I started is really overwhelming at times. In your own words, what makes American Bedding special? There are so many things I could point out! I work with some of the best people I know. I'm grateful for the way we have maintained a family atmosphere even during our company's exponential growth. I've also built friendships and relationships with people I would have otherwise never met if it were not for this company. What is most important to you outside of work? My faith and my family are integral parts of who I am, and they are why I do what I do every day. Now that you know our people, get to know our products! The best introduction we can give you to our products is through our catalog. Request one today by clicking on the banner below! And remember, our sales team is always eager to chat with you when you have questions. Contact us online or call us at (800) 203-2507. We hope to hear from you soon!